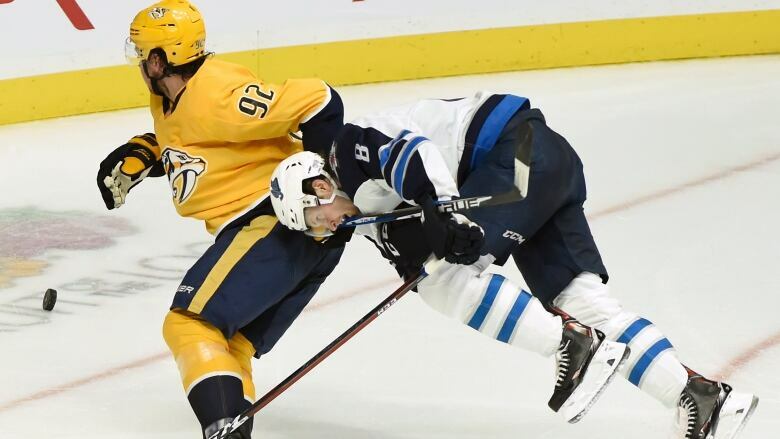 Nashville Predators forward Ryan Johansen has received a two-game suspension without pay for high-sticking Winnipeg Jets forward Mark Scheifele. The NHL announced Johansen's suspension Friday. Johansen committed the penalty Thursday during the first period of the Predators' 5-1 loss to the Jets. Johansen will lose $86,021.50 due to the suspension. That money will go to the NHL players' emergency assistance fund. The 26-year-old Johansen has eight goals and 34 assists in 49 games this season.